Barbara Ferrier, a Community Foundation of Westmoreland County donor and board member, enjoys the park she helped expand and maintain. 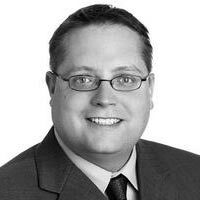 Christopher Whitlatch is a former manager of marketing and communications at the Foundation. In 2000, Westmoreland County published a forward-looking plan for its park system that would drive development and management well into the future. Malcolm Sias, parks and recreation director for Westmoreland County, remembers the excitement — and also the realization that the county would need help managing such an ambitious undertaking. The park’s expansion was completed in three phases. Amenities were added during each phase based on the priorities of the community and needed infrastructure, such as road access, parking and convenience facilities. The park now boasts a BMX track, a dog park, an accessible playground, a skate park, a paved “life trail” with accessible fitness stations, a dek hockey rink, and a lighted sledding and tubing area. The CFWC and its donor funds have been active supporters of the park’s expansion. The Ferrier Family Funds at the CFWC, advised by Ferrier, provided funding to build the life trail. “The Citizen’s Advisory Board was considering a trail to go around the skate park,” she says. “My mother was in a wheelchair at the time, and when they showed me that the activities there would include accessible activities at each fitness station, I knew I wanted to support it.” The CFWC’s Now and Forever Fund supported the building of the playground, which features accessible activities for children. “Community involvement was integral to the park’s success,” says Phil Koch, the CFWC’s executive director. “We’re proud to partner with our donors and neighbors in this endeavor, supporting the project with grants and helping to establish an endowment that will fund the park in perpetuity. And thanks to the community’s efforts, residents will be able to enjoy it for a long time to come.